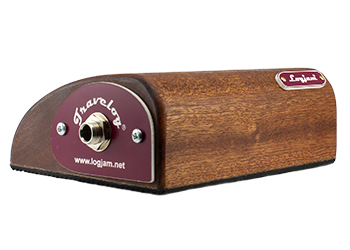 Logjam Music was founded in 2008 by veteran guitarist, Howard Bragen. 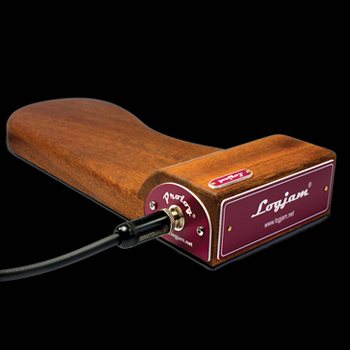 Howard, aka : "The Logfather" designed the first Logarhythm mk1 with the idea of creating a simple accompaniment instrument to amplify his tapping foot ~ through association with other players the instruments developed to the range we make today ... and we are proud to say that they are all still completely hand-made in England. Our "Log" units are what we call "stompers". They are not guitar effects pedals (stomp boxes) but instruments in their own right. 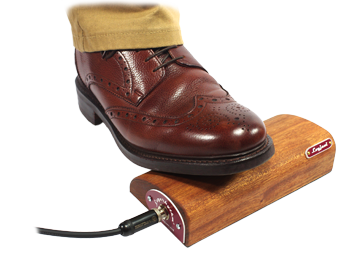 They are designed to create a beat behind what you're playing and can be used very simply by tapping your feet 2 ,3 or 4 times per bar etc or by using the instrument selectively to create dynamic changes and accents. 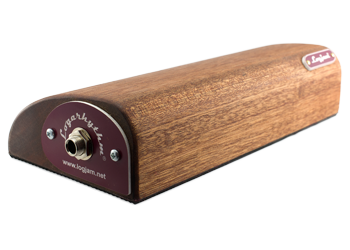 When plugged into a PA or bass amp they will create the sound of a kick drum or, in the case of our new "Rattlebox", a snare/side stick. Prolog is our top of the range unit. 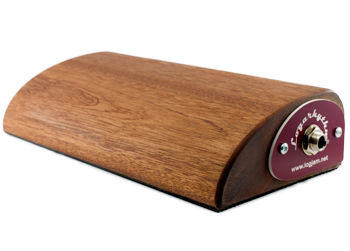 It features an integral “groove board” an ultra low stomping angle. 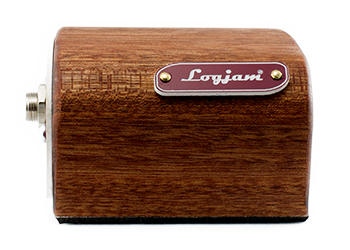 It is made from solid Sapele (a type of mahogany). 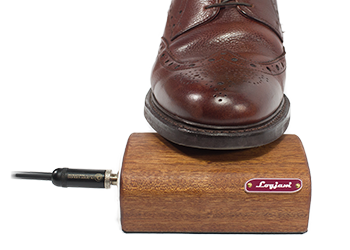 The acoustic chamber is formed in the base as well as in the “head” this allows for a stomping height of nominee than 2cm. Travelog is our baby stomper. It will fir nearly into the central pocket of hard guitar case. 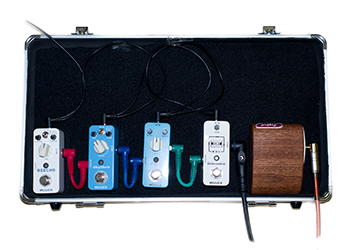 It is very handy for almost any type of musician (i.e. Cajon, Keyboard, Guitar Players etc.) 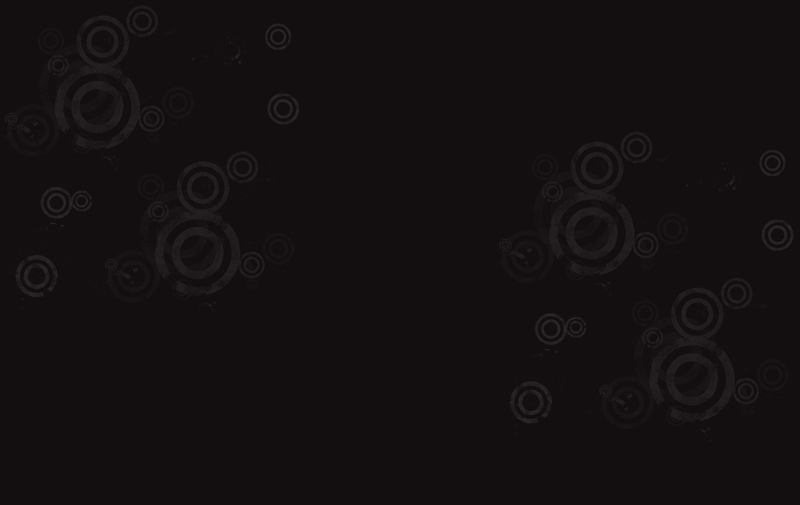 Because it is compact it has only one tone. It is nevertheless very effective. 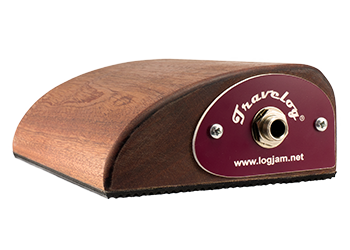 The Travelog 2 has a greatly improved output compared with the original unit owing to the modified chamber and capsule position. Weighing in at a mere 350 grams, the Travelog 2 is a handy travel companion and will easily fit into the accessories compartment of any average guitar case (eg. Hiscox). 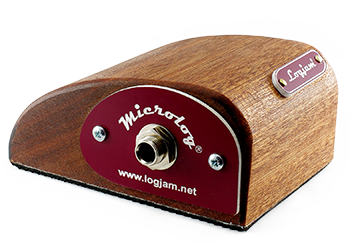 Logarhythm 4 has been designed to give maximum output in a neat and compact unit. We have retained the low radius (curve) of the Mk3 model but repositioned the chamber so that the capsule is nearer to the player's foot and angled up towards the point of impact. Because the acoustic chamber is now further forward we have cut away the extraneous material to make your Log lighter and also take up less room in your kit bag. 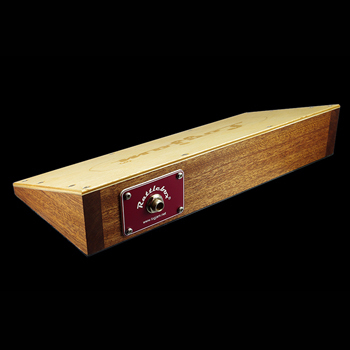 You can play it using both feet or alternatively tap your foot on the right or left hand side depending whether you want a louder or softer tone. 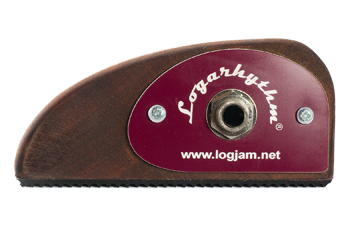 It has been designed to augment and enhance any acoustic artist, percussionist or band performance by adding the accompaniment of a snare drum or side stick. 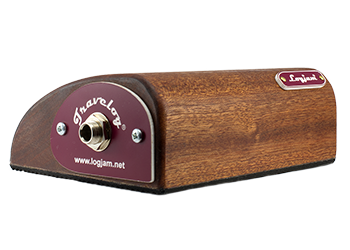 It can be used as foot percussion in conjunction with the Prolog for example, played with sticks or brushes, or indeed with your hands.